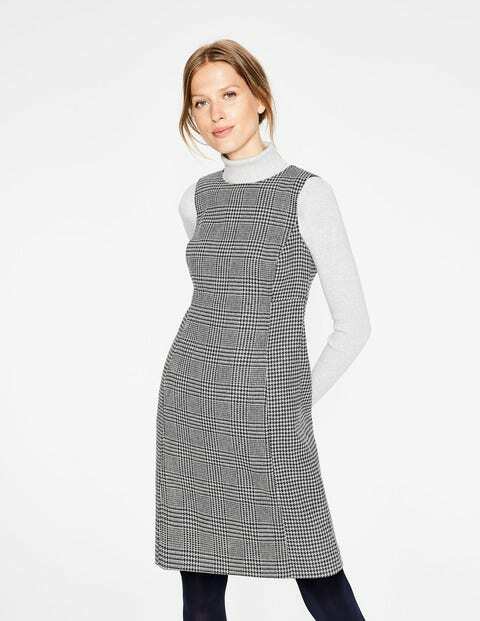 The classic shift dress may have been around for a while, but we've put our signature twist on this design – the empire-line fit and structured shape make it perfect for the office. Choose a solid option or pick one of our British tweed patterns to make a real statement. Beehive and knee-high boots optional.